While protein may be viewed a gold standard by the bodybuilding, fitness, and power communities, it is often undervalued and overlooked by the general populous. Protein and amino acids are the building blocks of life. Protein is involved in hundreds of chemical processes in the body. 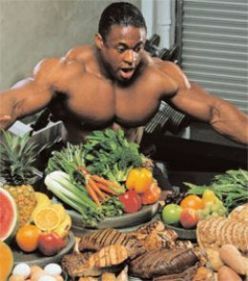 Don’t even think of trying to build muscle without supplying it with good amounts of protein. Hair, skin and connective tissues are all mostly protein based. Protein makes 16-18 percent of our overall bodyweight. Unlike fat and glucose however, the body can not do a great job at storing protein so if the body is not receiving adequate amounts of protein, muscle tissue breakdown will begin. Well now that you know a little more about the importance of protein, the question is which is one of the best protein sources you can place in your diet? One of the all time best solid food sources of protein, you could add your diet is the egg. When it comes to protein bioavailability the egg ranks the highest amongst all foods. Protein bioavailability is the amount of protein that the human body can use from a given protein source. 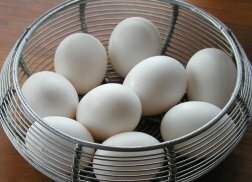 The egg rates 100 percent on the scale and is the standard of which all other protein sources are measured. One egg provides 6 grams of 100 percent usable protein, a good source of fat, B Vitamins, Iron, and Cholesterol. Despite what you may have been taught or heard, the human body does need some cholesterol and eggs are a good source of it. Be when your adding eggs to your diet make sure that you’re using whole eggs. Because of fear of fat and cholesterol, a lot of people tend to ditch the whole egg for only the whites. Egg whites are a great source of low fat low calorie protein. The problems with egg whites are the overall protein is actually less and the bioavailability is also less. If you’re looking to add some high quality protein to your diet, stick with the best whole food protein source you can get. First off let me start off by saying carbs are not the evil nutrient that they have been painted as for years. What give carbs the bad rap is the overindulgence of the wrong type of carbs. The main benefit of carbs is they are an easy energy source that can be quickly broken down into glucose. When carbs are in supply this helps prevent the body from breaking down muscle tissue in an effort to find glucose. Not all carbs are created equal though, the quicker a carb can be broken down the higher a person’s blood sugar will spike. Blood sugar spikes are due to the body releasing insulin to help with carb breakdown. Over time this can lead to insulin insensitivity causing things like weight gain, increased body fat, and multiple health risk. One important thing for people to understand is, when choosing carbs to eat, stick to carbs that get broken down in the body at a much slower rate. The slower carbs are broken down, the more stable blood sugar levels will remain. My all time whole food pick in this category is oatmeal. 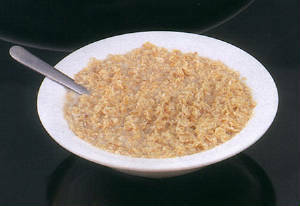 · Oatmeal is not only a great complex carb but also provides a good amount of fiber and even some protein. Fats should be an important part of any nutritional plan. Fats often get a bad rap because people tend to eat too many bad fats. The truth is fats not only are helpful for a proper diet but are essential. Fats help with brain development, growth, vitamin absorption, healthy skin and many hormonal processes. How many times have you heard “You need to eat more fiber!”? Well in most cases it is probably true. The daily recommended amount of fiber is 21 to 25 grams of fiber per day for women and 30 to 35 grams per day for men. On average most people will barely get about half of the daily fiber they need. Fiber plays a huge part in intestinal health. Fiber helps clean the intestines, keep a person regular, and remove waste and toxins from the body. The better your digestive health, the better it is for removing waste and toxins and also the better it will be for the body to be able to absorb nutrients from foods. So what foods should you be eating it improve our fiber uptake you ask? Right away most people will say some sort of bran. What if I was to tell you that is not necessarily the best option? Most types of bran offer 5-6 grams of fiber per cup. 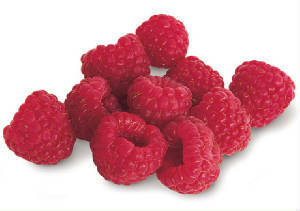 No bad but did you know a cup of raspberries offer 8 grams of fiber per cup? Thing is raspberries are not even the winner here. The best whole food source of fiber a person can receive is from the split pea. My all time great here is the split pea. One cup of split peas offers 16 grams of fiber per serving! That is almost ¾ of the daily recommended fiber for women and almost ½ of the daily recommended fiber for men. The split pea also is a great source of protein, complex carbohydrates, and potassium to go along with all the fiber it offers. While eating bran is great for improving your fiber intake, if you really want to bump things up add split peas to your diet on a regular basis. Getting an abundance of antioxidants in your diet will have one of the most dramatic impacts on your state of health. Antioxidants help fight of sickness and colds by boosting the immune system. Antioxidants help keep the body younger by protecting and helping recycle cells. The most important job of antioxidants however is their ability to protect the body against free radical damage. Free radicals damage cells by breaking down a cell’s protective layer or by stealing what it needs from healthy cells. Unchecked, cell damage leads to organ damage which can lead to some serious health issues even death. For years people were told the best way to boost your antioxidant intake is to eat more fruits, specifically berries. As a matter of fact blueberries wild and cultivated are two of the top five foods when it comes to antioxidant rich foods. Do you know the foods that make up the other three riches antioxidant foods? The answer to the question is beans. 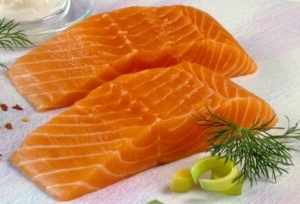 This brings us to our pick for number one all time antioxidant foods. When it comes to antioxidants small red beans take the title. 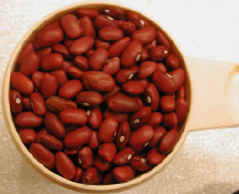 Small red beans have the highest concentration of antioxidants per serving of over one hundred foods tested. The small red bean not only tested as the food richest in antioxidants but also showed the ability to aid in cholesterol lowering, heart health, and being protective against some forms of cancer. One study even showed that eating small red beans a few times a week was associated with reduced breast cancer risk. The first thing some people would do to rehydrate is grab some water to drink. While I am a huge advocate of drinking plenty of water for all of its benefits, when it comes to hydration water may not always be the best option. When a person is thirsty they tend to drink a lot. Drinking too much water however does not rehydrate the body but once a body goes over a certain amount, will actually cause fluid loss. When a person drinks water in excess the kidneys get a signal to start excreting more water through sweat and urine. Knowing how to hydrate the body really depends on how dehydrated the body is. The more you stress the body, the more detailed your rehydration process should be. Water makes a great option for non-super strenuous activities like a light jog. Heavier workouts need a heavier load of replenishment nutrients. Think in terms of “The more you sweat the more replenishment you should get!” The main reason is the heavy electrolyte loss with strenuous exercise. Electrolytes are vital nutrients that help keep the body working in proper balance. Sodium, Potassium, Magnesium, Calcium, Chloride, and Bicarbonate are all important electrolytes for rehydration. These electrolytes are also the main ones lost in dehydration, so proper replenishment of them is vital When you are rehydrating also look to replace vitamins and glucose. Sugar often gets a bad rap cause we tend to eat too much of it but post exercise is a great time to reintroduce simple sugars to the bloodstream. Some electrolytes like Sodium help the body hold onto water. This is vital because water and nutrients can get to the places it needs in the body quicker and more effectively. My all time hydration drink here is the sports replenishment drink. I won’t get into specific brands but when looking for a good replenishment drink make sure it is loaded with electrolytes and has a sodium to potassium ratio of about 3 to 1. This means for every gram of potassium it should have about three times that in sodium. Look for a drink that also contains the other vital electrolytes like calcium, chloride, and bicarbonate. The more electrolytes the drink contains the better job it will do at replenishment. Usually any of the standard sports drinks will do but read your labels cause some are slightly better than others. For the body to run optimally it needs optimal food choices. Not only foods that provide the macronutrient that it is supposed to but does a better job at providing those macronutrients or helping with the bodily function that it is supposed to better than other foods in it’s category. If you want your body to perform at it’s all time great capacity then it needs all time great foods to help with that task.